9,000 square metres to United Kingdom-based freight transport company. 3,100 square metres to O&M Movianto, an European healthcare solutions partner for the pharmaceutical, biotech and medical device industries, part of US-based Owens & Minor Inc. that is already a Prologis customer at Prologis Park Bratislava. Prologis Park Prague-Airport is adjacent to the D6 motorway at Exit 7, five minutes from Prague Airport. The park, which comprises three buildings totalling 73,000 square metres and 48,000 square metres of potential future development, has excellent access to national and international trade routes via the D0 and on to the D5 and D1 motorways. Public transportation links, including a bus stop in the park, provide connections to Kladno and Prague, as well as to the train station. 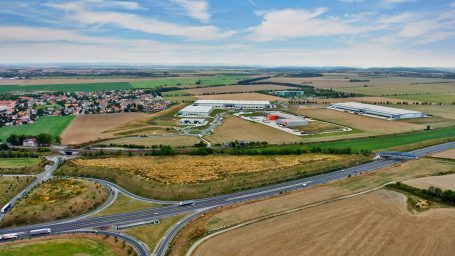 Prologis is one of the leading providers of distribution facilities in the Czech Republic with more than 1 million square metres of logistics and industrial space (as of 31 December 2016).